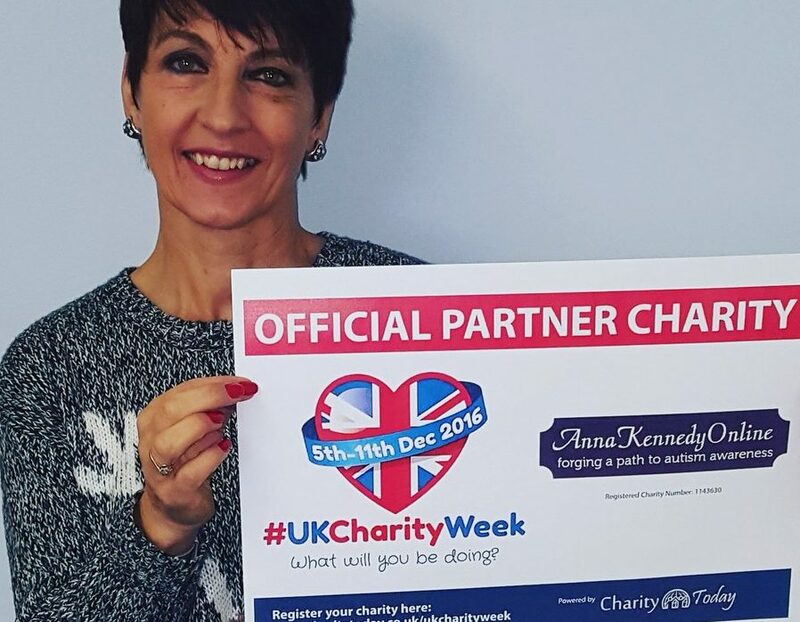 This week is World Autism Awareness Week, and we have taken the opportunity to catch up with #UKCharityWeek patron Anna Kennedy OBE who herself is an avid Autism campaigner. Q. Anna, what are your thoughts on Autism Awareness Week? Autism awareness week is a week that creates an opportunity to raise the profile and levels of understanding of an autism spectrum condition. 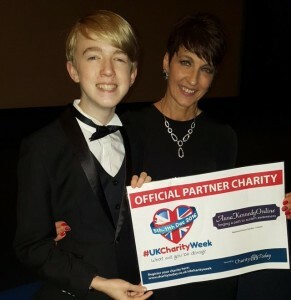 It creates for me as one of the UK Autism Ambassador’s, charities and groups the possibility of increased networking across social media to help build stronger community links. Although, the focus the awareness week attracts provides an opportunity to shine a light on the thousands of children and adults whose lives are diminished because of the lack of support or in some cases discrimination. As a UK Autism charity, we are forging ahead to create a platform that highlight’s the many achievements of people with an autism spectrum condition, for example, our recent ‘Building Bridges’ Charity Album Launch. However, it would be wrong to ignore the many challenges that exist for individuals on the autism spectrum and their families. Q. In your opinion what should this week achieve for Autism as a whole? It is important to highlight the frustration that many adults experience because of lack of opportunities to gain full employment. After some research, it is less than one-third of adults with an autism spectrum condition are in any paid jobs, and this is an area which has shown no improvement despite it being over 20 years since the Disability Discrimination Act 1995 (now the Equality Act 2010) was passed. There needs to be a continuous focus on the benefits of early intervention for children with autism as can be clearly evidenced when children attend the school I set up for my boys Patrick and Angelo. Local Authorities and local NHS services would benefit in the long run regarding costs instead of throwing money to support the individual when it becomes crisis point and the child or adults mental health is affected. Q. What are the key areas still lacking attention with autism? I feel frustrated almost every day that The Equality Act 2010 is not adhered to in many cases and it clearly provides a framework for supporting adults who have a disability in the workplace. It is unfortunate, but the rights and responsibilities contained in the Act are not understood as well as they should be. Autism Awareness Week provides a learning opportunity for disabled adults and employers. As far as children are concerned, the week can help highlight best practice which again is often not followed in many cases. There are many interventions available to parents and educators all of which have their strengths. That said, there should be an emphasis on building at least an agreement on what constitutes best practice. Some people may say this exists, but this is debatable. Autism awareness week could provide a safe space for sharing and evaluating interventions, which is something that has to be in the best interests of children. If you think about the number of children and adults with an autism spectrum condition along with their family members the “autism community” runs into millions! As an Autism Ambassador and Chairperson of a UK charity, I would like to suggest there should be more emphasis on building a stronger “community”. A community would be stronger if there were an understanding that there is strength in being united. At the moment many groups are not willing to work together or share information that can support families. I have created an almost autism virtual community where I share new information nearly every day across social media which reaches almost a million people each month. Q. 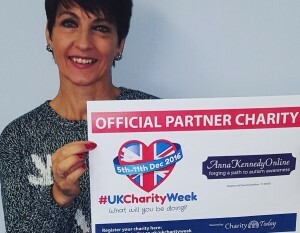 What is your message to all families with autistic friends and relatives during such an important week? M – Make a difference, this means working in a way that makes things better for members of the ASD community. A victory, however small it may seem, can yield tremendous positive benefits. P – Positive. Being positive is essential. I admit there are many challenges and often these can seem overwhelming, but work through these problems and do not be affraid to ask for support from other members of the community.